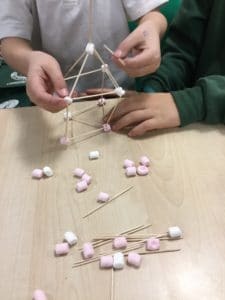 Year 3 Earthquake Tower Challenge! 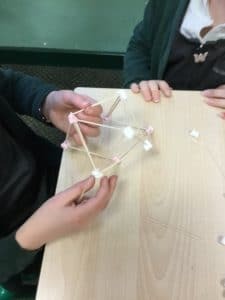 During an earthquake the earth shakes everything, including buildings. 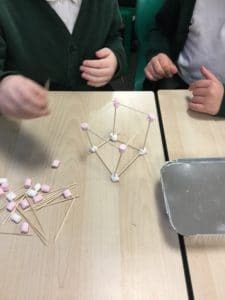 We wanted to find out about the ways buildings can be made to help them survive earthquakes. 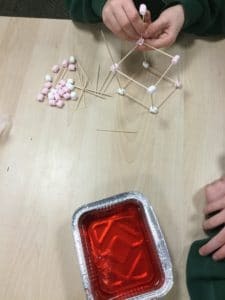 Why do some buildings stay up but others don’t? 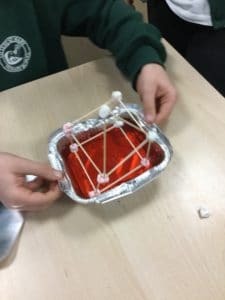 Today we have been learning How engineering can improve the chances of survival from an earthquake. 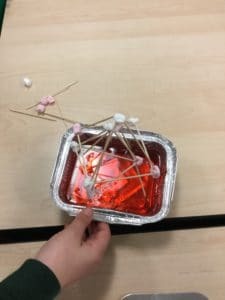 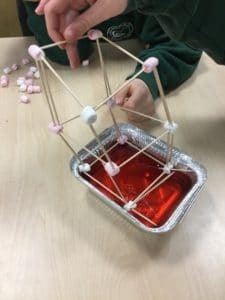 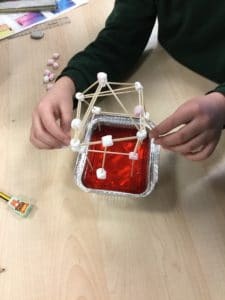 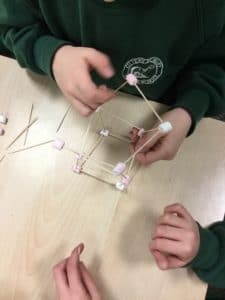 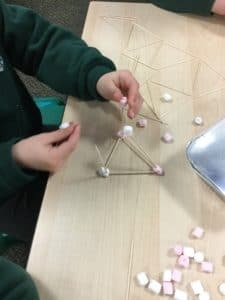 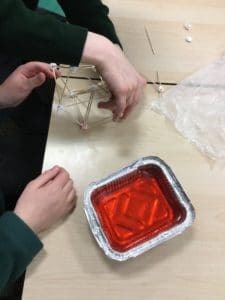 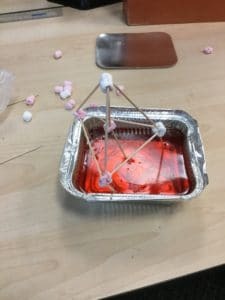 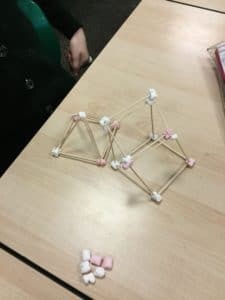 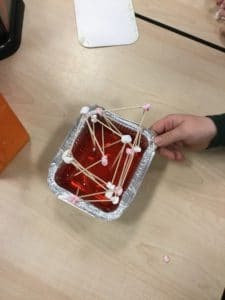 First hand we have been finding out how engineers design and construct buildings to withstand earthquake damage by building our own model structures using toothpicks and marshmallows. 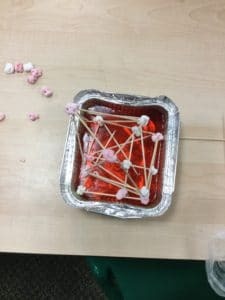 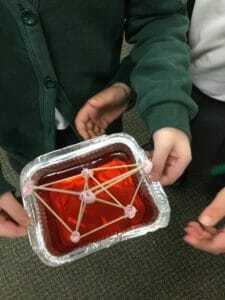 We experimented to see how earthquake-proof our buildings were by testing them in an earthquake simulation (in a tray of jelly!) 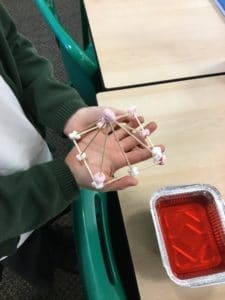 to see how well our structures stand up under the stress of an earthquake. 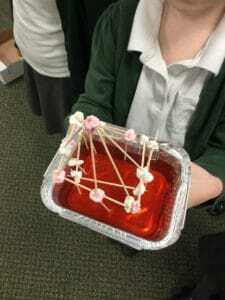 To survive the earthquake test, our building could not collapse for 10 seconds after the earthquake began. 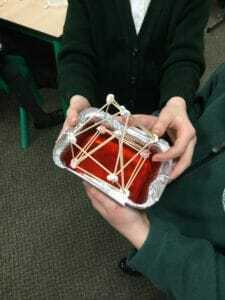 We learnt that earthquakes can cause much loss of life and millions of pounds worth of damage to cities. 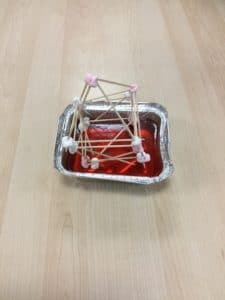 Engineers continually strive to make buildings stronger to resist the forces of earthquakes. 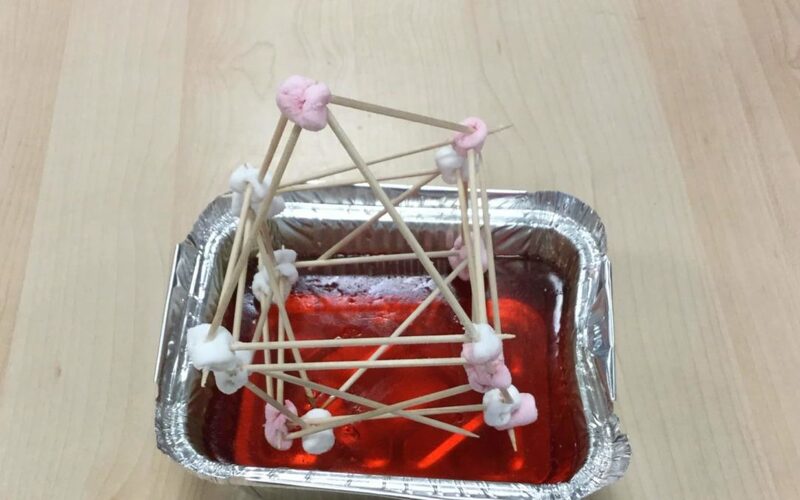 Engineers face the challenge of designing more robust buildings to withstand earthquakes. 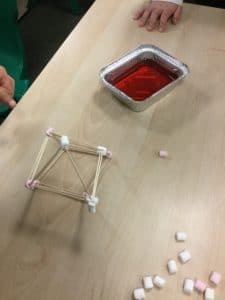 Earthquake-proof buildings are intended to bend and sway with the motion of earthquakes, instead of cracking, crumbling and breaking under the pressure. 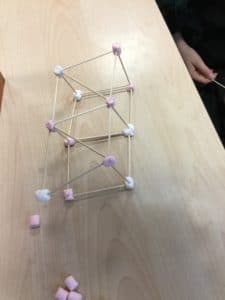 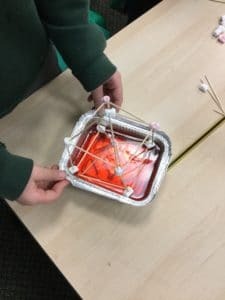 We learnt that earthquake-proof buildings typically have cross bracing that forms triangles in its design and typically have a large base, and get smaller towards the top.